We arrived back in Guatemala City around 6:00 this morning, after a rough nine-hour bus ride. The air conditioning on the bus was on full blast all night, and none of us slept well; however, we didn't let that stop us from fitting patients. By 9am we were at CONADI, a Guatemalan organization that connects people with disabilities with the care they need. CONADI had brought in one patient named Mario for us to work with. 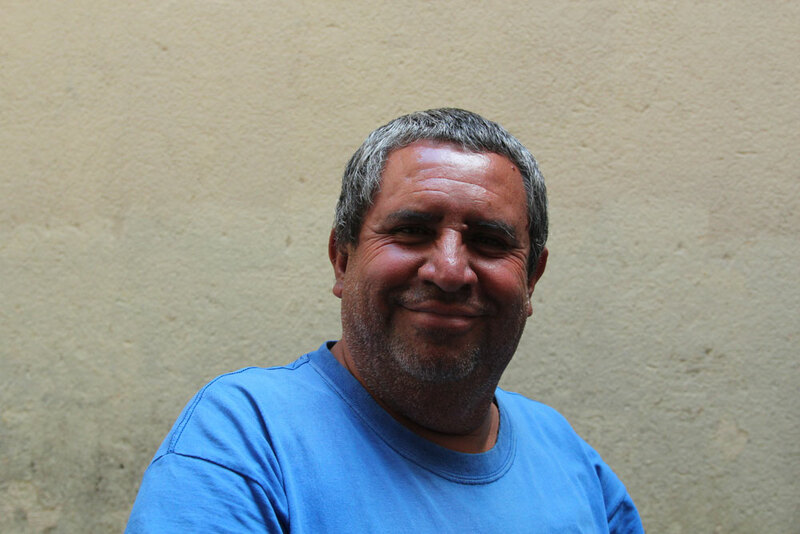 Mario lost part of his right arm in an accident with a sugar cane grinder 8 years ago. Jonathan and Dylan worked quickly through the interview and fitting process, and right away Mario was using his OpenSocket very well. After seeing the results of our fitting with Mario, the staff at CONADI were eager for more of their patients to begin using the OpenSocket. 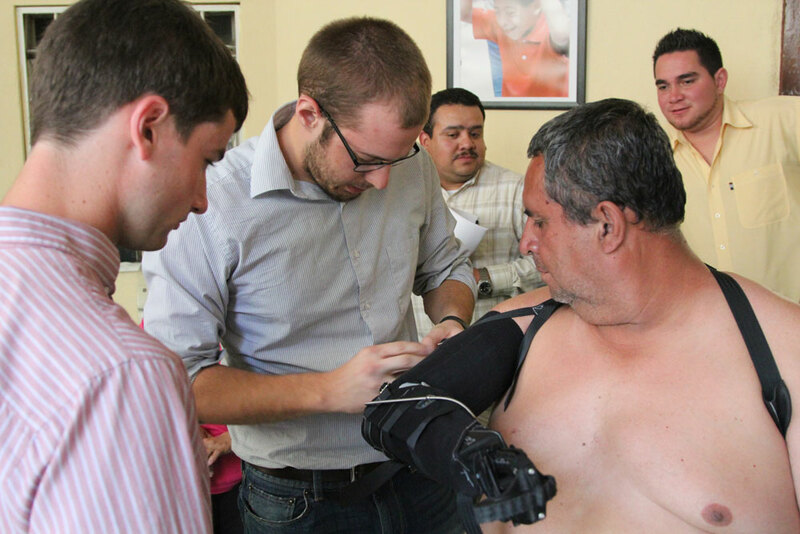 The sent a few of their staff members out to bring in another person with a below-elbow amputation. 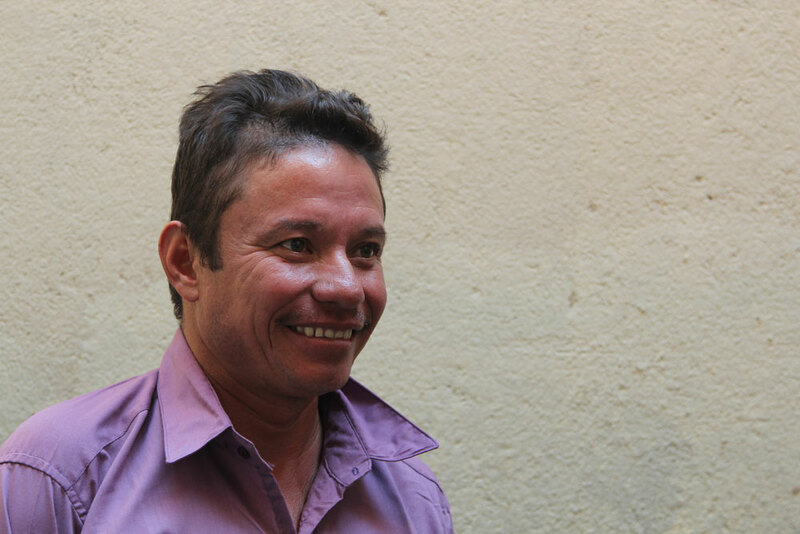 Our next patient was a man named Jose who has lost his arm in a meat grinder while working at his former job. 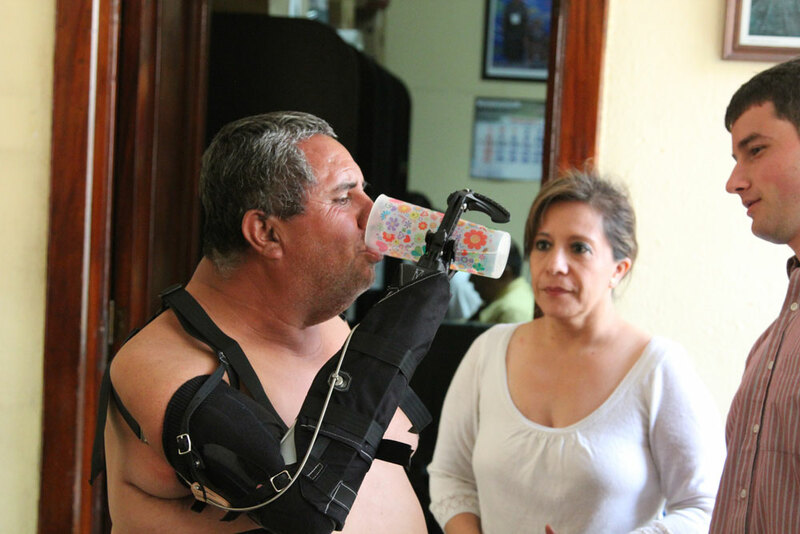 Jose was very eager to begin using his new prosthesis. 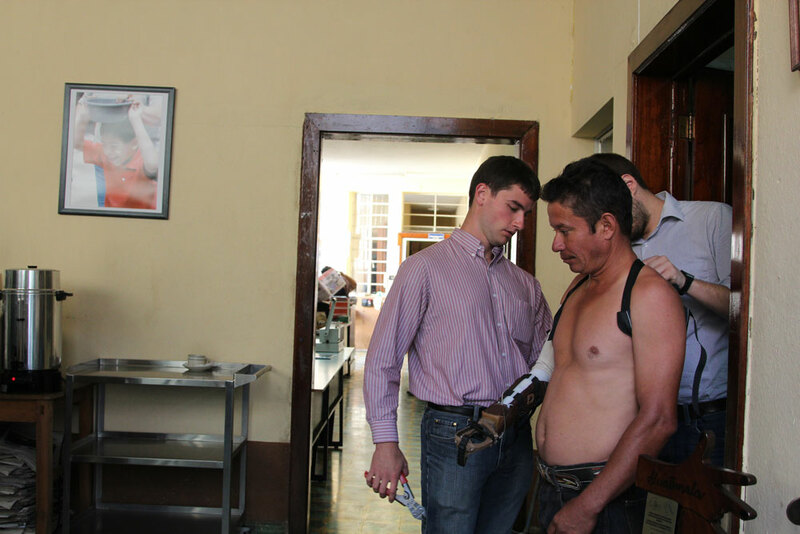 While fitting Jose, we contemplated how when he woke up this morning, he had no idea he was about to receive a new prosthesis. Both of our patients for the day had really good attitudes about using the OpenSocket, and were picking up glasses of water and other objects before they left. By 1 pm we had finished fitting both patients with the OpenSocket. After wrapping up at CONADI, we drove over to the Universidad del Valle where a team of engineering students are working on a project for us. 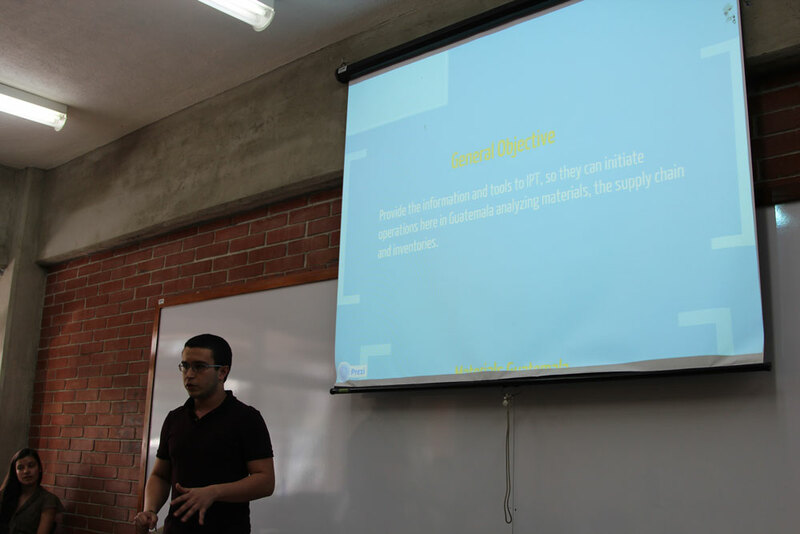 The students on the team are exploring the potential of producing the OpenSocket in Guatemala. We met with the student team for about an hour, where they gave us a thorough presentation on their progress over the past 6 months of work. After leaving the University, we took care of some odds and ends, such as printing some paperwork and purchasing our bus tickets for tomorrow's trip to El Salvador. Tonight is our last night in Guatemala before we head to El Salvador for the last portion of our work. We only have 4 days left on this trip and we have many more patient fittings to do. Stay tuned!